From national programs like American Routes and Acoustic Cafe to our local productions, WMUK brings you a diverse and engaging blend of American music throughout your Sunday. 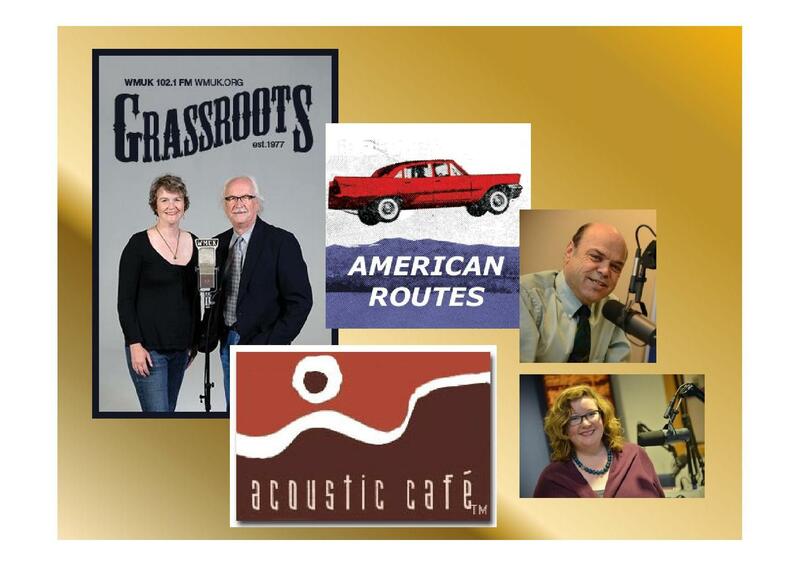 American Routes noon to 2 p.m.
Acoustic Cafe 2 p.m. to 4 p.m.
Alma Latina 4 p.m. to 5 p.m. The Pure Drop 6 p.m. to 7 p.m.